At Garage Revolution, our goal is to provide the highest quality coatings and materials on the market. I test all of my coatings with "real world" tests in ensure the technical specs are consistent with real world specs. Not only are the floor coatings durable, but they are also beautiful! With Garage Revolution, you will be able to choose one of our 13 garage floor colors and have it installed in just one day (in most cases). After our professional installation, you will be able to park on the garage floor in 24 short hours. In addition, we offer a 15 year limited warranty to insure that you will enjoy your floor for years to come. At Garage Revolution, our goal is to maintain a professional image while in your home or garage and we will do our absolute best to maintain this professional image. Speaking of professional, we are also registered and insured. We are a registered contractor in the state of Nebraska (which is a state requirement); feel free to check our competitors and see who is not registered (click here for registered contractor search). 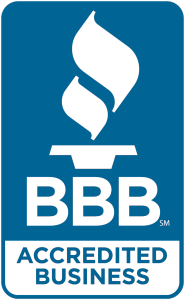 We are also an "Accredited" member of the Better Business Bureau with an A+ rating (click here for BBB link). We believe that our reputation is our most important asset! "The floor turned out exactly as expected....and our neighbors are dazzled!" 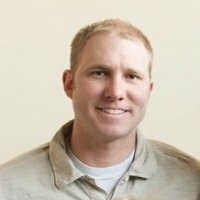 -Mike K.
"These guys do great work!" -Matt P.
"They did a fabulous job!!! It looks infinitely better!" - Addison J. "I absolutely love the floor and I have received numerous compliments on it already. Thank you for doing such a nice job!" -Scott T.
"We are so pleased with our garage floor coating. Jon and his team Dustin and Brendon did an excellent job. Very professional and knowledgeable! Love the khaki! Thanks so much. -Kelly H.